Poor Frodo, he's trying to ignore me and the sweater but was too lazy to jump off the sofa. I am closing in on the last row of the body of the sweater. Today will be sleeve knitting and this sweater has been such a fun knit. I love all the miles of stockinette stitch or ribbing. I'm thinking of doing the sleeves NOT in the round...because my gauge tends to tighten up a bit and it just seems so s l o w. I'll keep you up to date on that one. I finished The Violets of March yesterday and it was a quick easy good read. I recommend the book and there's a family secret mystery that is solved (gotta love those!). I am still reading Oh My Stars and it's coming along. I read this one at night and I tend to fall asleep while reading. I am having a giveaway over here for all you lovely readers to celebrate my birthday month. Your sweater is looking lovely! I really love that color! I just finished my sweater this week.....now to figure out what to cast on next!! I agree with Frodo.....it's easier just to stay on the sofa!!! So pretty! Looks like you will have it done by Thanksgiving! I believe you are going to be finished by Thanksgiving! :-) I cannot wait to see the finished sweater, I'm in love with the color! Oh it's beautiful!!! And I think you'll be done by Thanksgiving!! I can't wait to see it on you! I am on the sleeves of Emerson's sweater and you are so right, it's slow going. My gauge seems a lot tighter now too and I never considered just knitting them flat and seaming, thanks for another wonderful time. Frodo looks too cute not looking at the camera. Looks like you are coming right along! Thanksgiving doesn't seem like such a difficult deadline now, right? I am facing the same issue - or I will be by the end of the week. I love to knit my sleeves in the round but my gauge does change. I try to just knit a bit looser and it seemed to help on the last sweater I knit. love the color of that sweater. You totally finish tour sweater in time for Thanksgiving! That is such a pretty orange. Perfect for Fall! I still believe you'll have it ready for Thanksgiving. way to go on the sweater! I loved the Violets of March too. I've been recommending it to a lot of people. Pretty sweater. I love that color! That's going to be a great sweater! Love the color. Oh I like the color! and Frodo is so cute! I just love the color of your sweater. It's going to be beautiful. Frodo looks very cute, and sweater looks to become lovely and snuggly! i knew this sweater would be on you by Thanksgiving!!! beautiful!!! Eeek! 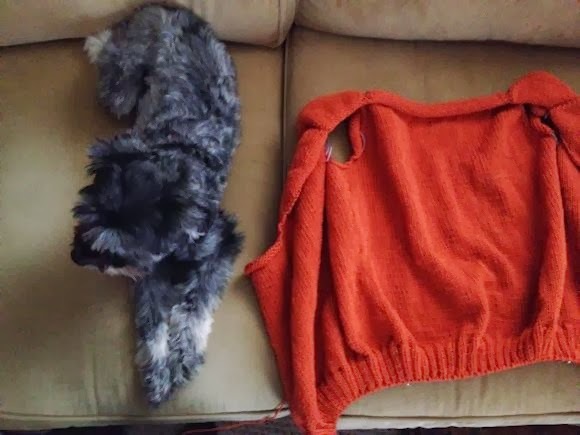 Such great progress on the sweater... so excited to see you in it! You are totally going to finish it...yay!!!! You are a speed knitter! Your holiday sweater is coming along beautifully. I know it's for you, not Frodo, but I think he would totally rock that orange too. I have no doubt you will be wearing your new sweater on Thanksgiving Day! 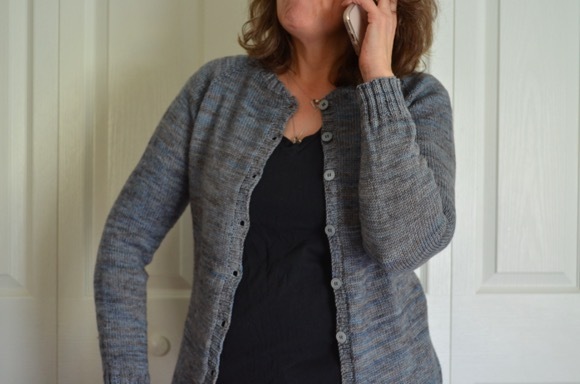 Your rib stitch looks great by the way! Me thinks you're going to be wearing a beautiful new sweater on Thanksgiving! looks great! yay! I hope it is as wonderfully comfortable and warm as it looks! I've just been catching up on all the posts I've missed recently. I had to giggle at your nightmare and then felt so guilty when you were crying...how could I be so cruel. But it was funny.I hope you haven't had any more since though. Your cardigan is flying along... all being well it looks as though you will be wearing it on Thanksgiving. Have a lovely weekend and a great birthday. It's mine this weekend too. What a gorgeous colour, and you're going to be really snug wearing it I'm sure. And at the rate you're going you'll be wearing it soon. Happy day! That dog is a absolutely gorgeous! 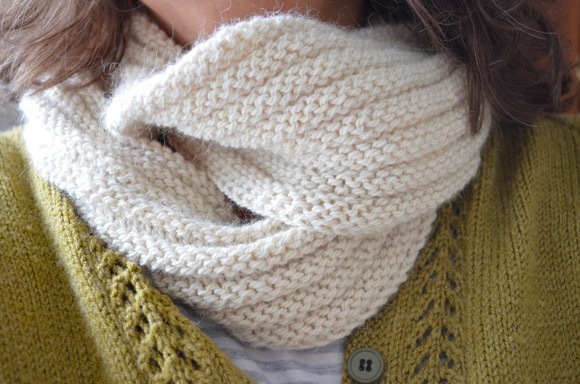 I know I'm supposed to be commenting on the knitting - which is beautiful - but I'm in love. Just got caught up on your blog, what a lovely way to spend Sunday evening!